Finding quality fabric in the City of Angels can be a tough endeavor. It seems as though visitors are heckled on every street corner with some sort of promoter selling only the best ‘insert fabric here,’ making it hard to decide what is good quality and what is just plain cheap. That being said, there are plenty of places in Bangkok with beautifully woven silk and colorful textiles worth checking out. 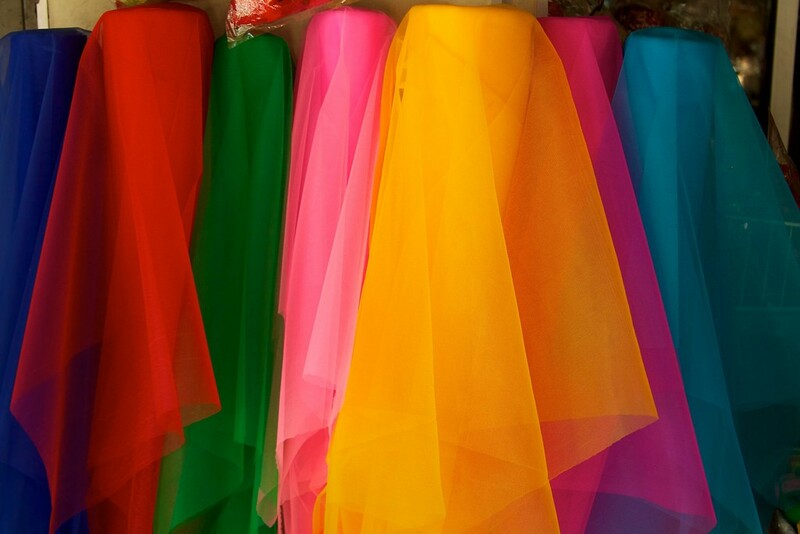 Here are the best places for fabric shopping in Bangkok. You have come to Thailand looking for fabric. 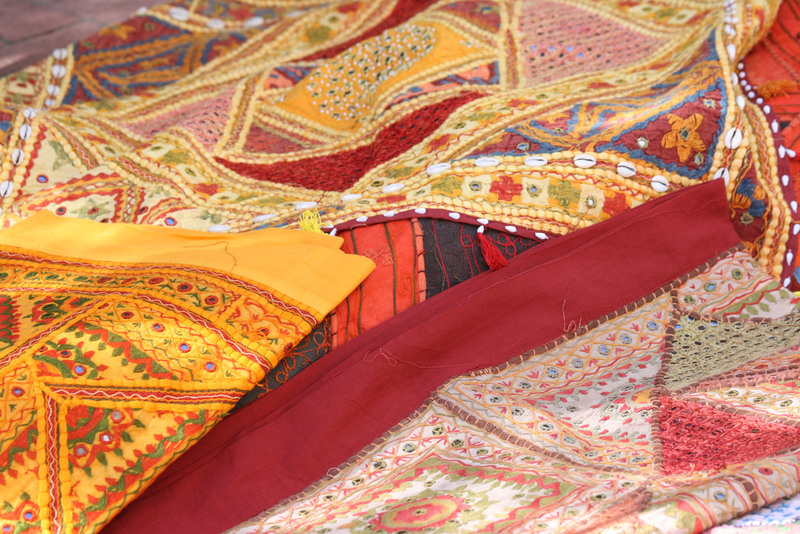 Well, we are going to divert our attention to Little India, which is home to the Pahurat Textile Market. Fabric-lovers will be able to satisfy all of their fabric needs here. If you are looking for high-end materials that are both glamorous and flashy, this is not the market for you. Instead, Pahurat Textile Market is overflowing with colorful prints that are perfect for some makeshift sewing jobs and do-it-yourself clothing projects. Amarin Plaza is home to over 300 shops. One of the most sought after storefronts in this massive outlet store is Come Thai. Fret not, as those who are not Thai can still come and see all of the fabric this shop has to offer. It is here shoppers will find high-quality scarves for affordable prices, something the store is known for. From interesting prints to quilts worthy of decorating even the most chic of homes, Come Thai is a surefire spot to find fabric on your shopping trip. Amarin Plaza is open every day from 10:30am to 9:30pm and is conveniently located off the BTS Skytrain station, Chit Lom. 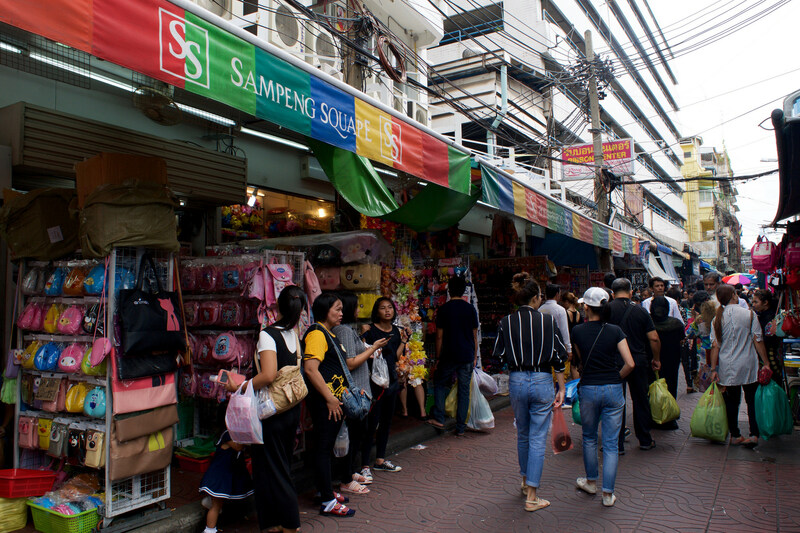 It may not come as a surprise to hear that Chatuchak Weekend Market, one of the largest markets in the world, would have a wide selection of fabrics to choose from. Taking up more than 35 acres of land and welcoming thousands of visitors to its bustling stalls every day, this overwhelming market is worth exploring to find affordable yet interesting fibers. Textiles and fabrics can be found in sections eight and 10. Prepare for an absolute onslaught of materials at China World Fabric Outlet. If you are on the hunt for Thai silk, this is not the mall to visit. That being said, there are plenty of other attractive textiles and fabrics worth browsing. The best part about China World is that it’s located indoors, unlike some of the other fabric havens on our list. Shoppers can browse this mall for hours without Bangkok’s heat getting the best of them. From food to jewelry to electronics, Chinatown has it all. Fabric is yet another item that visitors of this particularly unique part of the city will find an abundance of, specifically on Sampeng Lane in Chinatown. After hopping off the boat at the Ratchawong Pier, just head straight and you will see this profusion of colorful items and goods crowding Sampeng Lane. The best time to visit this area of town to shop for fabric is during the day, as almost all of the vendors along this road shut down when it gets dark and the area becomes a foodie haven. While a visit to the Jim Thompson Museum should certainly grace the itineraries of those stopping over in Bangkok, those hoping to purchase any of his legendary silk should instead mosey their way to the Jim Thompson Outlet. 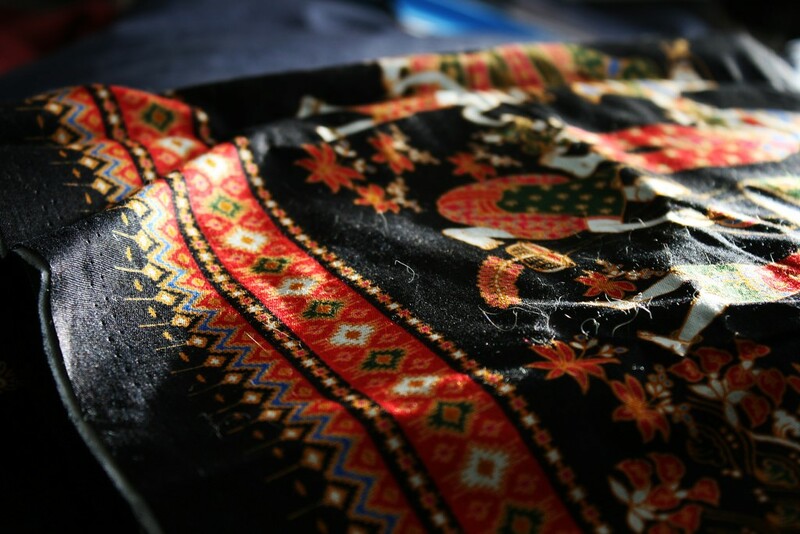 Silk is a thing of legend in Thailand, and this can be almost single-handedly credited to one man: Jim Thompson. He was an American architect of sorts who started working in Bangkok after he wasn’t happy how his career in the U.S. was working out. Employed at the Office of Strategic Services, which was the forerunner of the CIA, he fell in love with Bangkok, the people, and, most importantly, the silk of the city. His thread remains famous long after his mysterious disappearance while traveling in Malaysia in 1967. The same silk outlet stores can also be found in Chiang Mai, and Pattaya, with five outlets in Phuket, and two in Samui. It is a five-minute walk from the BTS Skytrain station Bang Chak and open every day from 9am to 6pm.